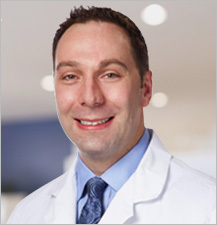 Why you should choose Dr. Kane? Why an Orthopedic Foot & Ankle Surgeon? The hind foot is separated from the midfoot by the medio tarsal joint and the midfoot is separated from the forefoot by the Lisfranc joint. Muscles, tendons and ligaments support the bones and joints of the feet enabling them to withstand the entire weight of the body while walking, running and jumping. What are the Types of Foot Fractures? Calcaneal fractures: This affects the heel bone and occurs mostly because of high-energy collisions. It can cause disabling injuries and if the subtalar joint is involved it is considered a severe fracture. What are the Symptoms of Foot Fractures? What is the Treatment for Foot Fractures? Treatment depends on the type of fracture sustained. For mild fractures, non-surgical treatment is advised and includes rest, ice, compression, and elevation of the foot. Your doctor may suggest a splint or cast to immobilize the foot. For more severe fractures, surgery will be required to align, reconstruct or fuse the joints. Bone fragments may be held together with plates and screws. Physical therapy may be recommended to improve range of motion and strengthen the foot muscles. Weight-bearing however, should be a gradual process with the help of a cane or walking boot. Ankle injuries are very common in athletes and in people performing physical work, often resulting in severe pain and impaired mobility. Pain after ankle injuries can either be from a torn ligament and is called an ankle sprain or from a broken bone which is called an ankle fracture. An ankle fracture is a painful condition where there is a break in one or more bones forming the ankle joint. The ankle joint is stabilized by different ligaments and other soft tissues, which may also be injured during an ankle fracture. What is Normal Ankle Joint Anatomy? The ankle joint is composed of three bones: the tibia, fibula and talus, which are articulated together. The ends of the fibula and tibia (lower leg bones) form the inner and outer malleolus, which are the bony protrusions of the ankle joint that you can feel and see on either side of the ankle. The joint is protected by a fibrous membrane called a joint capsule, and filled with synovial fluid to enable smooth movement. What are the Types of Ankle Fractures? Lateral Malleolus fracture in which the lateral malleolus, the outer part of the ankle, is fractured. Bimalleolar fractures in which both lateral and medial malleolus bones are fractured. What are the Symptoms of an Ankle Fracture? What are the Treatment Options for Ankle Fractures? The treatment of an ankle fracture depends upon the type and the stability of the fractured bone. Treatment starts with non-surgical methods, and in cases where the fracture is unstable and cannot be realigned, surgical methods are employed. With surgical treatment, the fractured bone is accessed by making an incision over the ankle area and then specially designed plates are screwed onto the bone to realign and stabilize the fractured parts. The incision is then sutured closed and the operated ankle is immobilized with a splint or cast. What is the Postoperative Care for an Ankle Fracture? Physical therapy of the ankle joint will be recommended by the doctor. After 2-3 months of therapy, the patient may be able to perform normal daily activities. What are the Risks and Complications of an Ankle Fracture?